Daniel Bonin was born, and raised in Belfast, Maine. He graduated from Bob Jones University in South Carolina with his B.S. in Business Management, and a minor in General Contracting. As he always planned, he returned home to Belfast to start his own business, marry his high school sweetheart, and start a family. Bonin Masonry, Inc. specializes in commercial masonry buildings, and residential projects such as fireplaces, chimneys, and stone work. His family is actively involved in their church, and with the youth there. They also take advantage of the great outdoors in Mid-Coast Maine any chance they get. Evolving from hobby to his passion, Daniel decided to take on the Real Estate world. On the outside looking in, he always enjoyed this industry. With his education background, and great business sense it was an easy fit. As of February 2013, Daniel made Real Estate his career. 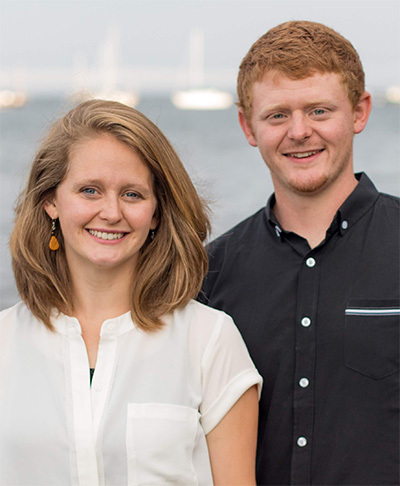 As an Associate Broker at Maine Country and Coast Real Estate, he is a young, and motivated member of the team. His dedication, attention to detail, and honesty brings his clients the satisfaction they deserve. Daniel looks forward to helping you buy, or sell your home!